Yes, that’s right we have lift off! Welcome to My Kids Agency and thanks for taking a look around our website. We are a London based children’s modelling agency and represent children from Newborn to 16 years old. As this is our first blog we wanted to go through how to apply and hopefully speed up the process for you and give you all an inside to what we need and what we look for. Just to note we are completely FREE to join and charge no join up fee’s. To apply for My Kids Agency, you will need to submit 3 images. Now take your time in producing these images, as these are the images we will look at to make a decision on offering a contract to the children. These will also be the images that will be shown to clients if the child is accepted, although they can later on be updated. All images need to be under 2MB, there are many sites online that can help you reduce the size of your images. If you would like our help in recommending a site just give us a call or drop us an email. We do not need professional images of the children, you can simply take them on your phone or a camera if you have one. Ideally we need one headshot style image and one full length image. This is just so we are able to see the full potential of the child. Make sure you check out our picture guide on the Become a model page for the Do’s and Don’ts when taking the pictures. 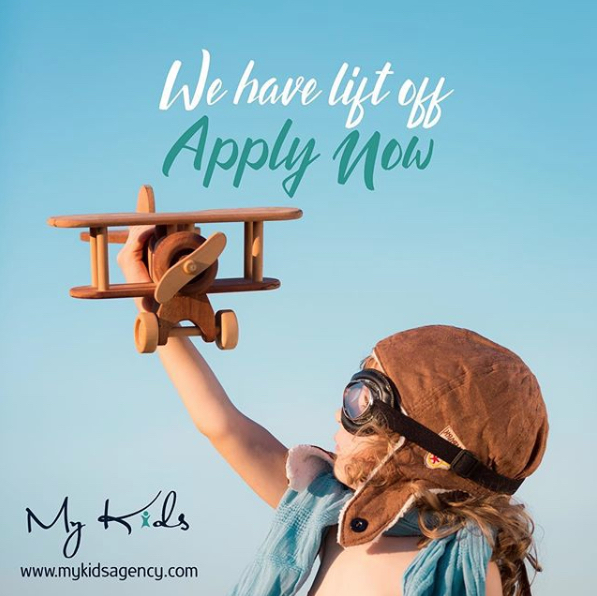 Don’t forget the My Kids team are here to help so just get in touch with us.